A Russian group working with scientists is set to launch what they call the world’s largest and most comprehensive long-term health study on a GM food. The $25m three-year experiment will involve scientists testing thousands of rats which will be fed differing diets of a Monsanto GM maize and the world’s most widely-used herbicide which it it is engineered to be grown with. 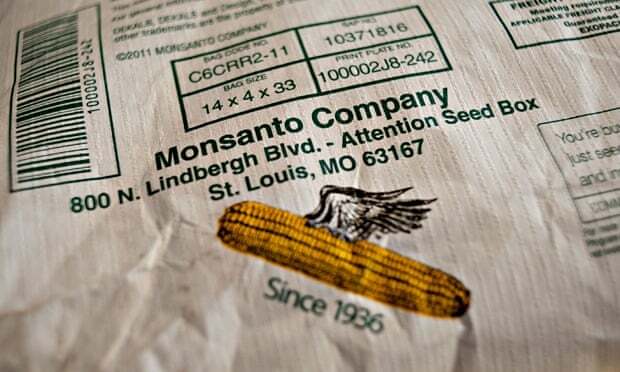 The organisers of the Factor GMO [genetically modified organism] study, announced in London on Tuesday and due to start fully next year, say it will investigate the long-term health effects of a diet of a GM maize developed by US seed and chemical company Monsanto. “It will answer the question: is this GM food, and associated pesticide, safe for human health?” said Elena Sharoykina, a campaigner and co-founder of the Russian national association for genetic safety (Nags), the co-ordinator of the experiment. According to the Nags, the experiment will try to establish whether the GM maize and its associated herbicide cause cancers, reduce fertility or cause birth defects. The scientists also want to know whether the mixture of chemicals present in Roundup (Monsanto’s tradename for its glyphosate herbicide) are more or less toxic than its active ingredient glyphosate. Farmers, governments, scientists and consumers around the world have been involved in an intense debate since GM foods were introduced in 1994. But while there have been many thousands of studies conducted, mostly by GM companies, which show that there is no health risk, government regulators have not required evidence of long-term safety and deep mistrust has built between different “sides”. “We would clearly support well-conducted, hypothesis-driven science. If the science is conducted according to OECD guidelines and shows that there are hazards with a particular event, then the public will understand that,” said Prof Huw Jones, senior research scientist at Rothamsted Research, which specialises in agricultural research and is the only research institute in the UK currently carrying out a GM crop trial. Oxana Sinitsyna, deputy science director at the Sysin research institute of human ecology and environmental health which is part of the Russian ministry of health, one of the three scientists on the Factor GMO study’s review board, said: “The scale and format of this research project will allow us to create a really objective and comprehensive data set on the mechanics of the impacts of a GM diet on the health of living organisms over the long term. The planned study will have no input from the biotech industry or the anti-GM movement, said Sharoykina.“Comprehensive scientific safety studies on GMOs and their related pesticides are long overdue. All previous studies caused controversy for various reasons: choice of animal, insufficient statistics, duration of tests, research parameters, and researchers’ connections to the anti-GMO movement or the biotech industry. “This study is intended to remedy the situation. The project organisers have considered all of the points of disagreement and distrust surrounding this subject.” She added that Nags would not have any involvement in the scientific process. Most of the $25m has been raised, say the organisers, but the names of sponsors and funders will not be revealed until the experiment starts fully next year. Fiorella Belpoggi, a cancer specialist with the Ramazzini insistute in Italy and a board member of the study said: “This is not at all an anti-GM study. We are being neutral. We don’t know if it’s good or bad. Maybe in the future I will be a cheerleader with Monsanto. But I want science to find out”. The experiment, which will be conducted in western Europe and Russia, was cautiously welcomed by both GM sceptics and proponents of the technology. However, Monsanto did not respond to invitations for an interview. Monsanto was contacted for a response but did not reply. In the past it has claimed that trillions of meals have been eaten by consumers without ill effects. The announcement of the experiment came as British anti-GM campaignersdelivered a letter to Downing street signed by US environment groups representing over 50m people, as well as celebrities including Susan Sarandon, Daryl Hannah and Robert Kennedy. The letter warns Britain that the intensive growing of GM crops has caused major environmental problems in the US. “GM crops have never delivered on their promises to increase yields and profits or to decrease pesticide use. In fact, they have done the opposite with the cost of growing GM crops now greater than conventional crops in the US and pesticide use 24% higher amongst GM farmers than non-GM farmers planting the same crops”, says the letter which was delivered by former Labour environment minister Michael Meacher and Tory MP Zac Goldsmith. Separately on Tuesday, MEPs voted to allow national bans on GM food crops for environmental reasons. This entry was posted in Ethics & Morality, Health & Fitness, Modern, Modern Science on Nov 19, 2014 by Editorial Team.